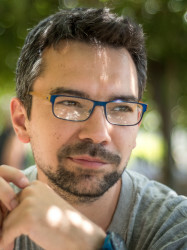 Diego is a Lecturer in Computational Biology at The University of Edinburgh, jointly appointed at the School of Informatics and the School of Biological Sciences. Previously he was a Research Fellow in Biomathematics at Imperial College (2013-2018). In 2016 Diego was appointed Global Future Council Fellow by the World Economic Forum to serve in the Council on Biotechnologies. In 2017 he was selected as one of the 100 Young Global Changers by the Think 20 Summit and the G20 presidency. Diego also serves in the Scientific Advisory Board for the WEF Center for the Fourth Industrial Revolution in San Francisco and the EPSRC Early Career Forum in Mathematical Sciences. He is an Associate Editor for the journals Frontiers in Synthetic Biology and Microbial Cell Factories. More information in his research website at The University of Edinburgh.